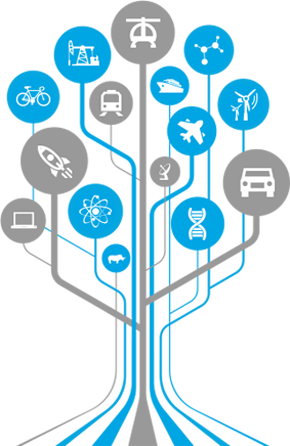 Direct integration and interaction with Rescale's cloud simulation platforms can be performed easily through Rescale's Application Programming Interface (API). With the API, external application developers and independent software providers (ISVs) can easily port their applications while end users can programmatically burst their compute jobs to Rescale's cloud simulation platforms. Integrate Rescale's simulation platforms directly into your front-end application user interface (UI) to enable your solvers to run seamlessly in the cloud. Programmatically create complex simulations and monitor job progress, as well as efficiently upload simulation input files and download output results. Submit jobs in batch, without having to go through the web interface, using familiar commands and scripts. 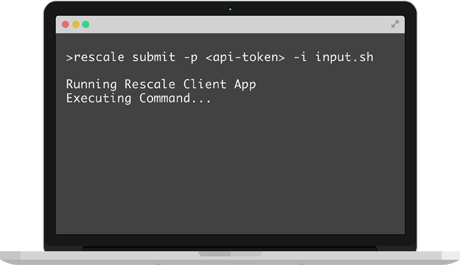 Submit a job directly from your current working directory through a simple command line utility provided by Rescale's API. Leverage a multi-threaded transfer library for fast file transfer directly to Rescale's data store. Client-side file encryption and channel encryption ensure industry-exceeding security standards for data transfer. Use the sync command to automatically download output files at job completion to a specified directory. Optimize simulation and project time with no user intervention required. 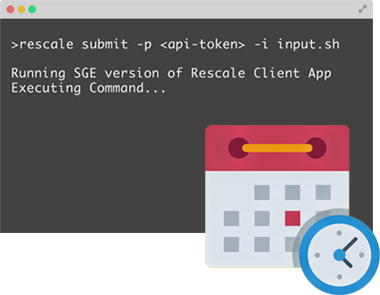 Rescale's API allows for seamless integration with external job schedulers. The effortless integration with existing schedulers enables hybrid on-premise/cloud deployment. Users can programmatically and easily burst compute jobs to Rescale's simulation platforms using the lightweight command line interface mechanism provided in the API. Users can submit jobs using scheduler scripts and tools that are familiar to them. 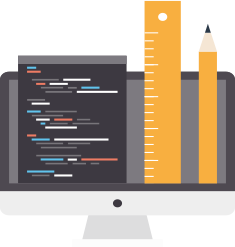 The custom parser of the API will automatically transform the submission script into a Rescale job. Users can customize their Rescale simulations by adding specially formatted comments to their submission scripts. Rescale sets the strictest industry standards for security and data protection across every step of the simulation workflow. Security provisions will not be compromised with API integration.